One of the biggest dreams of bloggers (or any person on the internet) is to have their content go viral. Whether it’s a post you threw together in a few minutes or something you slaved over for weeks, there is always a little part of you that hopes for it to take off. Most of the time, that doesn’t happen, even if your posts do fairly well by “normal” standards. …but what happens when it does? 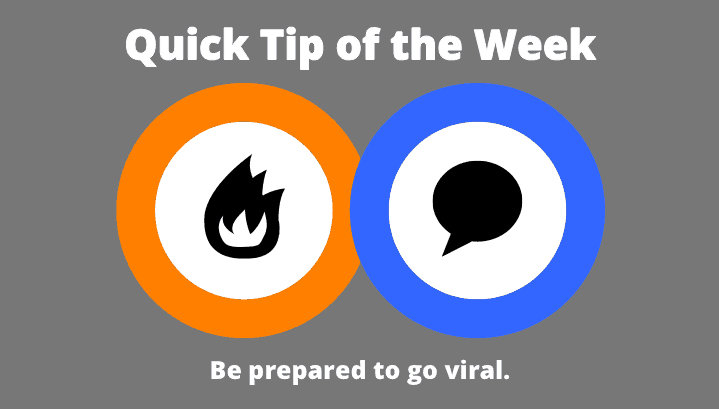 Suddenly your traffic is pouring in and you’ve never had a post go viral before. 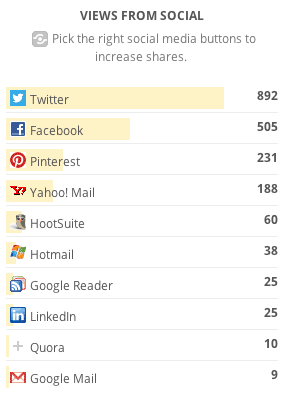 Instead of floundering, you can use Shareaholic Analytics to make the most of this awesome opportunity. 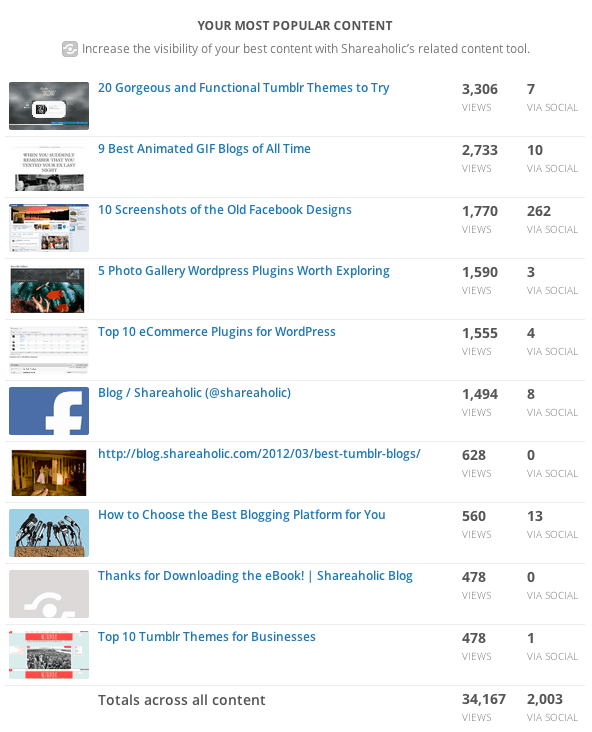 First, you can discover content going viral in the Top Content Report. Since it’s updated every 24 hours with the latest pageviews and views from social, you’ll be able to stay on top of the traffic bump. You can also use our Views from Social Report to see which social networks are driving the most traffic and start to engage more there! Each social network that is driving you traffic is a new community to engage with, so definitely take advantage of new networks if possible (without spreading yourself too thin). Then, ride the wave of traffic, comments and social shares! After it’s all over, take a look at your Analytics overall and see what you can try to learn for future posts—is there a particular format or topic that really gets people going? Try that again. Who knows, maybe lightening will strike twice and you’ll be a famous internet star! p.s. Interested in joining the Shareaholic team? See our job listings here.